Utilizing over two decades of combined experience in the construction industry, Highline by Mile High Designs is a local family owned business that has been creating quality interior and exterior home remodeling projects for satisfied home owners throughout the Denver Metro and Front Range community since 2005. As a family owned business, we know what your family needs in a general contractor. We purposely keep our staff small so communication runs more smoothly and your home gets the attention it deserves. Using only highly trusted building partners and suppliers, we have confidence that you’ll be just as satisfied as our past and repeat clientele. And if there’s something you think we can improve on, our chief customer service representative and owner is only a phone call away. When he’s not taking care of customer service, he’s also your sales rep, design consultant, project manager and has years of experience actually building what he sells. By keeping our company small, we ensure that everyone involved in your project knows what they’re doing and they’re doing it well. We’re fully licensed, fully insured and EPA Lead Safe certified to protect your family. We maintain an A+ rating with the BBB and are a recipient of a 2014 BBB Gold Star Certificate. Comfortable working with all materials, we are a Timbertech Gold Contractor as well as a Fiberon Fiber Pro. 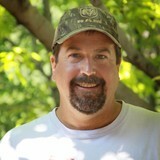 Kona Contractors is family owned and operated by Ryan and Beth Treadwell since 2006. 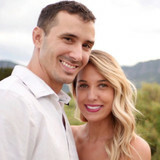 Both Ryan and Beth are natives of Colorado and graduates of CSU. The company was named after their golden retriever Kona – a certified therapy dog. Our team works with you to create the perfect living space for you and your family. Kona Contractors ensures that your wants and needs are addressed by meeting with you to understand the details of your living space. We take the extra steps of providing you with 3D images to help you fully envision the final design. Kona Contractors specializes in basement finishing, kitchen and bathroom remodels, outdoor living and any other renovation you can dream up. We are dedicated to doing business the BBB way and we look forward to helping you build your dreams. 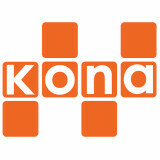 Kona Contractors works closely with Home Designers to ensure your design proposal is thoroughly formulated. Let Kona be your designer – we can offer multiple designs to let you see options for your new living space. From renewing your kitchen, bathroom, or deck, to completely redefining your living space – Kona is your Contractor. Our team offers a wide range of construction services that can be customized to meet your needs. 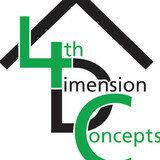 Beginning with the first meeting, we work directly with you to come to the best solution for your home. We specialize in custom decks and pergolas! We have experience in redwood, cedar, and composite deck materials, modular iron and aluminum railing systems, and cedar and aluminum pergolas. We treat each customer with integrity and strive for the highest quality of work. But don't just take our word for it; request a list of references and hear firsthand what our customers are saying! We're known for quality construction, friendly service, and reasonable prices. We are a licensed and insured general contractor, and a BBB-accredited business. In addition, we have advanced engineering expertise, including a Ph.D. in Mechanical Engineering. We are Colorado's premier design and build firm specializing in every facet of Outdoor Living. A pioneer in the industry, we have been setting Outdoor Living trends on the Front Range since 1985. Our founding principle—that Outdoor Living is an Art, not an afterthought—still drives us today as Colorado's most innovative Deck and Outdoor Living company. Total Construction Solutions, LLC, is owned and operated by General Contractor Erik Eggleston, who specializes in custom decks and pergolas. Formerly based in Pueblo County, but now operating in Douglas County , Total Construction Solutions can assist you with your residential construction needs, whether they are repairs or renovations to existing structures or new construction projects. You can trust that Total Construction Solutions will get the job done right - from obtaining the appropriate building permits to ensuring that each structure is built with beauty, safety, and durability in mind. You can be sure that each and every project will be completed in a timely and professional manner. Total Construction Solutions - for all your residential construction needs: custom decks, pergolas, fences, outdoor structures, home repair, maintenance, drywall repair, framing, roofing, and more. Owner and contractor Erik Eggleston has been honing his craft for over 25 years. As a General Contractor, Erik is licensed to build residential structures, pull building permits, and complete other general carpentry and handy-man jobs. This husband and step-dad takes great pride in the quality, beauty, and safety of the work he does. Erik feels a distinct sense of ownership for each and every project and believes that no job is finished until the client is completely satisfied. Every project is built as if it were his own. After earning his degree in biology from Colorado State University - Ft. Collins, Erik chose to return full-time to construction because creating and building give him a sense of accomplishment. Have it all – Sun, Shade, Shelter – in one adjustable louvered pergola As the trusted source for commercial pergolas and residential pergolas in the Metro Denver and surrounding areas, Denver Pergola Systems, LLC is committed to providing quality products that achieve all of your commercial and residential pergola needs. To bring you the best in functionality and design, we’ve partnered with the industry leader in adjustable pergolas, Arcadia, to provide you with a versatile, one-of-a-kind louvered pergola solution, capable of meeting all of your outdoor shade and shelter needs. Denver Pergola Arcadia aluminum pergolas have been specifically designed to outlast competitors, and are comprised of easy-care recycled aluminum and stainless steel components engineered to withstand high winds and heavy snow fall so you can enjoy your residential or commercial pergola for many years to come. Meraki (v.) The soul, creativity, or love put into something; the essence of yourself that is put into your work. We make beautiful custom decks, pergolas, patio covers, hardscapes, outdoor kitchens, fire features and more for the Denver metro. We pride ourselves on transparency, craftsmanship and unique designs. Our goal is to create the outdoor living space of your dreams, a place where you and your family can make memories for years to come. Because after all, aren't some of the best memories made outdoors with the ones you love most? Owner Matthew Remacle began his experience as a builder over 10 years ago as a summer job in college. After completing school and spending two years in the corporate world, he realized his passion was working with his hands, creating custom outdoor living spaces and building dreams. Matthew has worked every position in the outdoor living world, from building decks to project management, to now founding Meraki Outdoor Living, Matthew is truly an expert in the industry. Above all, Matthew believes in blending creativity with functionality. Matthew's wife and business partner Lindsay brings her design eye and creativity to each project they touch. At the end of your project, no matter the size, they promise to feel like family. Archadeck of the Foothills is the Denver area's premier local designer and builder of decks, patios, sunrooms, porches, patio covers and outdoor living spaces. Interested in a new or replacement deck or other outdoor living structure? We can help you create the backyard of your dreams! We take great pride in providing our clients with exceptional customer service and high quality craftsmanship. At O’Keefe Built Inc. we love the outdoors. Like most Coloradans, when we are not out exploring this great state, we are spending time with our family in our back yard. Whether it’s watching the kids play, playing fetch with our pup, or grilling out on the deck, we relish our time outdoors at home. Being outside is part of the Colorado lifestyle, and It's our goal to make your home an integrated part of that lifestyle. Creating comfortable and welcoming outdoor spaces is not just a business, it’s our passion. At SRI, we know that you have a choice. We know you could choose another company that can give you a fair job at a fair price. That is why we offer more. When you work with SRI, you not only get a great job at a great price, you will get two things that are often missing in the construction business: reliability and a good set of ears. If we say we’ll be at your house at 9:00 a.m. you won’t be looking for us at 9:01 a.m. Equally important, we listen to you, really listen, to assure that the final product is a clean execution of your original ideas and visions. Quality and integrity from SRI, because we feel you deserve nothing less. Conceived by Michael Schaefer and David Lowrey in 2010, out a request by a client for a pergola that was substantial in girth, strong enough for our Colorado weather, with a regal feel that harkened back to the days when true craftsmanship was the norm. Using a 2000 year old fastening method that has stood the test of time; the DOVETAIL. The dovetail joining method has unparalleled strength and longevity. With no need for metal fasteners that are unsightly and prone to rusting and discoloration. After three years of trials, we developed our dovetail connection. We are a design and build firm specializing in every facet of Outdoor Living. A pioneer in the industry, we have been setting Outdoor Living trends on the Front Range since 1985. Our founding principle—that Outdoor Living is an Art, not an afterthought—still drives us today as Colorado’s most innovative Deck and Landscape company. Started as a fantastic concept for creating waterproof outdoor living areas, Colorado Deck Drain Experts has become the established authority in deck drain technology and exterior finish carpentry. We have invented and expanded the products available to cover all circumstances from retrofit to the most durable and lowest maintenance systems available on the market today. We’ve been in business for well over 9 years as DRY•B•LO® of Colorado and an additional 6 years as Colorado Deck Drain Experts; during that time, we have improved the function, appearance and value of hundreds of decks in the Colorado area. It’s our goal to transform wet, unusable space beneath raised decks into attractive, clean, and dry outdoor living areas. With over 15 years of experience in Colorado, we have the knowledge and skills to complete your project in a timely manner and to your complete satisfaction. With well over 2000 installations under our belts, we have encountered a lot. Just as with many projects, there are always problems and difficulties. This is where our experience enables us to foresee problems, design solutions, and offer options. Deck drain systems can go well beyond their basic function of shielding rain and snow from under your decks. They can transform an unassuming patio into a functional and very stylish addition to your home. Not only do deck drain systems need to be functional, they are many times fine carpentry and exterior finish. We take great care in our work and pride ourselves on making sure a job is not only done right, but all details are attended to. 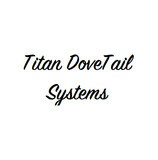 Our systems are perfect for walkout basements, 2nd story decks or any other situation you may have. For Regal Custom Builders, we recognize your project for what it really is: Your Dream. And we are privileged to share your vision and transform that dream into a reality. No wonder we love what we do! Owner and Licensed General Contractor, Jackson Rathert, has been helping to construct dreams for almost 20 years. Committed to using only superior products and a team of experienced, consistent craftsman, Regal Custom Builders consistently surpasses the status quo. What services do deck and patio builders in Highlands Ranch, CO provide? To help you choose the ideal style, configuration and materials for your deck or patio, your deck and patio contractor will survey your Highlands Ranch, CO lot and your home to come up with a design that complements your exterior as well as being structurally sound. He or she will recommend sizes, heights and construction materials that suit your lifestyle and climate, as well as explain the best stain or finish options. Additionally, deck and patio professionals can provide insight into additional components such as outdoor kitchens, patio covers, fire pits, outdoor lighting, arbors and more. Your deck and patio professional might work closely with another Highlands Ranch, CO lawn and landscape professional. Here are some related professionals and vendors to complement the work of decks, patios & outdoor enclosures: Landscape Architects & Landscape Designers, Garden & Landscape Supplies, Stone, Pavers & Concrete, Landscape Contractors, Building Supplies. Find a deck and patio builder in Highlands Ranch, CO on Houzz.